Faculty and Staff at Sheldon Jackson were treated to a an Allen Marine Tour. 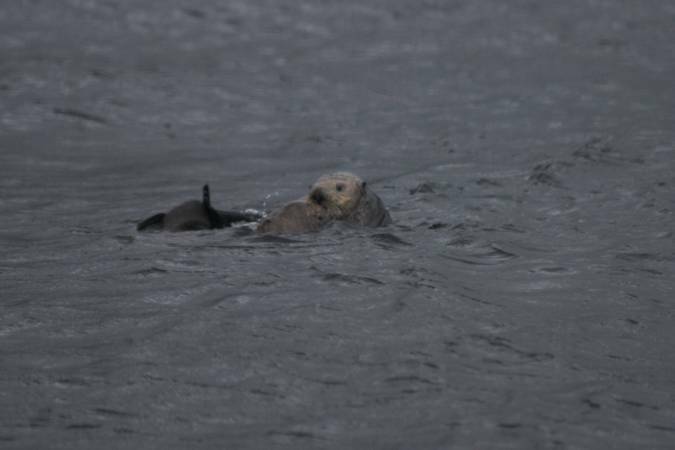 The weather was not all that great, but we did get some close up views of a few sea otter. There are two otters here, one of them is biting the other on the nose (this is apparently typical courtship/mating behavior among sea otters).